The point of graciousness is not just to enable wildly different people to coexist in a society, although there is that. The professional benefit of graciousness is that it communicates confidence in who you are and what you have to offer. And confidence, in turn, generates respect. 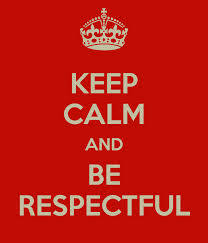 Here are two ways we can express graciousness and earn some respect for our profession. As Corinne McKay likes to say, “Don’t take it personally!” This goes for any type of setback. Has work from an agency suddenly dried up? Unless you hear otherwise it probably has nothing to do with you. Project managers come and go, and translators sometimes get lost in the shuffle. You can try to find out what happened by sending a polite inquiring email, but if that doesn’t work, move on. Impermanence is a fact of life for freelancers and usually not a reflection on you. Don’t waste time complaining when you can spend it more productively on developing new leads. What if it does have something to do with you? It could happen, of course. Sooner or later, most of us will deal with an unhappy project manager/client. But whether this ends up being a minor bump or the end of the road will depend largely on your response. Either defend your choices or fix and apologize, but don’t get emotional about it. Taking it personally is a good way to show everyone that translation is for fanatical hobbyists, not professionals. A gracious response, on the other hand, has the effect of calming the other person’s anger, which can only benefit you in turn. So someone sends you a job offer for a ridiculous rate. There is no need to be rude. I know the frustration, but when you’re dealing with agencies you’re probably just taking it out on some hapless employee who has no say in anything. Or say you’re contacted by a potential new client who makes demands that reveal a profound ignorance of our profession. Using sarcasm where education is called for is just bad PR for the whole profession. Complaining that we’re getting no respect is counterproductive and can even become a self-fulfilling prophecy, because if that’s all people hear about the profession, sooner or later the thought will occur that maybe there actually isn’t much to respect . I have never heard a lawyer getting upset about lawyer jokes, or a doctor about unappreciative patients. I’m sure they feel that way sometimes, but they don’t tell the world. My theory is that they don’t demand sympathy and affirmation because they are more secure in the value of their profession. And granted, their professions are a bit more established than the modern translation industry, but that is all the more reason to behave in a manner that communicates the value of what we do. Because if we don’t act like we believe it, why would anyone else? Such a good blog post and so true. It’s a fact that we can face tricky situations but how we react to them is really up to us. This should be given as a “day 1 manual” to newcomers! Thanks for commenting Giulia! I do get frustrated too and in those moments I’m glad I work alone 🙂 But on the whole I love the intellectual challenge, the career potential and most of all the freedom!